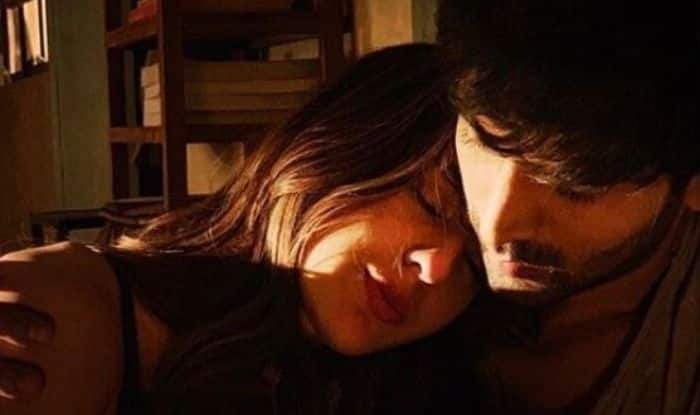 Sara Ali Khan-Kartik Aaryan's film finally gets a title and we are excited! Sara Ali Khan and Kartik Aaryan recently announced their next film helmed by Imtiaz Ali. Not only this, but both the actors have wrapped up the Delhi schedule of the film. Now, the makers of the film have finally revealed its title and it hints it may be the sequel of the Saif Ali Khan and Deepika Padukone’s starrer Love Aaj Kal. Now, as per the latest reports, the title of the film is Aaj Kal and it has left fans more excited for the film. Until now the film did not have a title and there still hasn’t been any confirmation that it is a sequel of Love Aaj Kal, but we can’t help but look out the similarities it has with the Saif and Deepika starrer. The report also stated that the film has been registered under the name of Aaj Kal and it may have a connection with to Love Aaj Kal. However, a sequel or not, fans can rejoice as they are already excited with Sara and Kartik’s on-screen chemistry. Recently, the makers have also revealed the first poster of the film and both of them look very much in love. A few days back, Sara took to Instagram to share a video while wrapping up the Delhi schedule of the movie. The video was the compilation of all the celebrations and fun that took place on the sets of the film. In the video, the chemistry of both actors is what that melted hearts across social media. Helmed by Imitiaz Ali, the film is slated to hit theatres on Valentine’s Day, February 14, 2020.